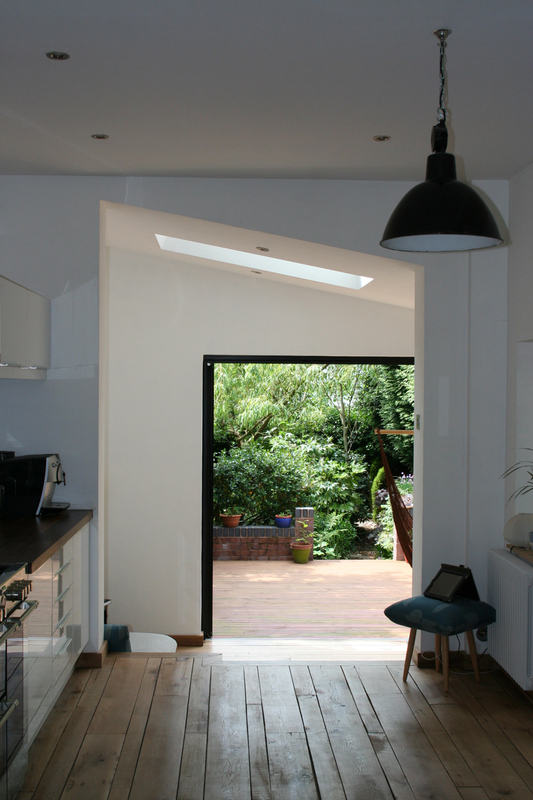 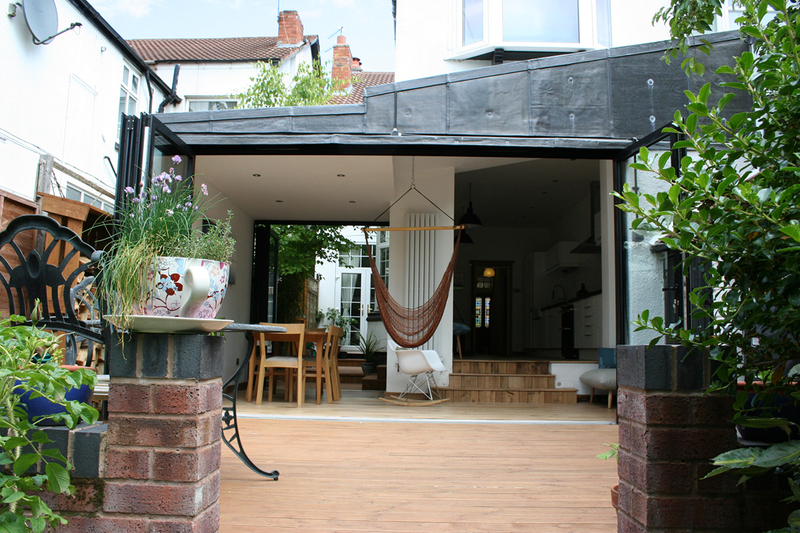 Extension to the rear of Victorian town house in Kings Heath, Birmingham. 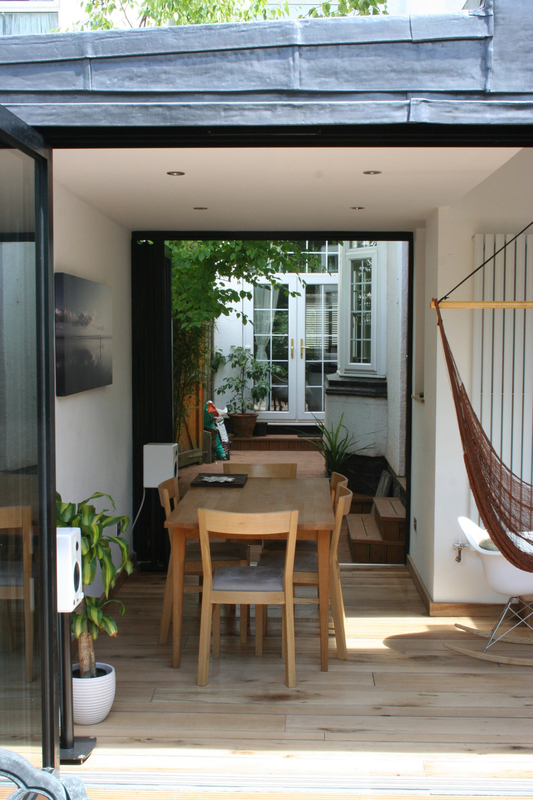 A restrained addition to this large town house links with the existing house to create indoor and outdoor living spaces. 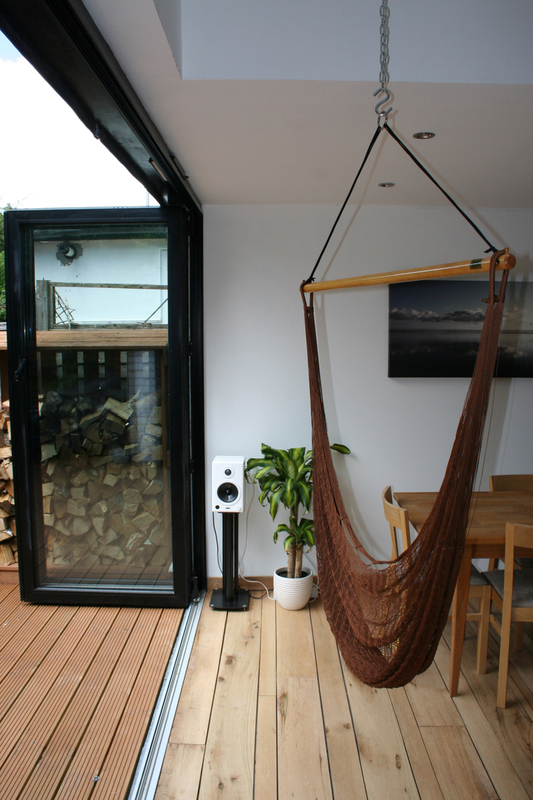 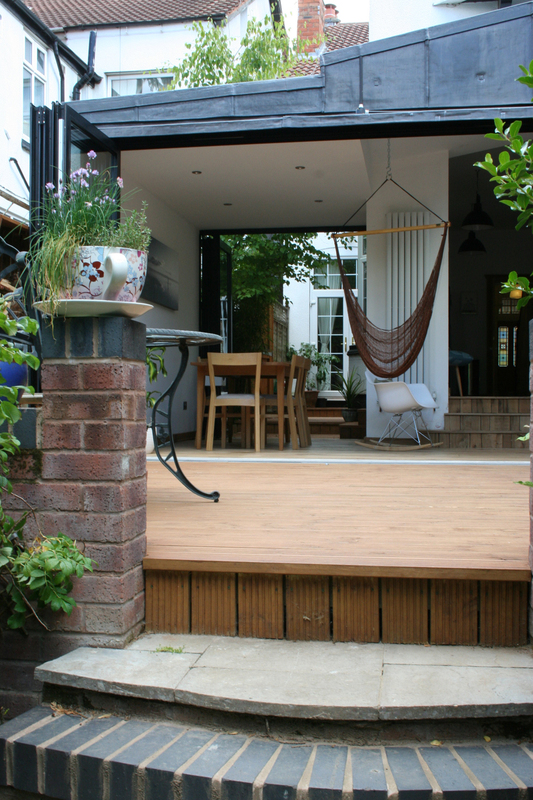 Bi-fold doors on a level threshold create a natural link to the deck overlooking the south-facing garden. 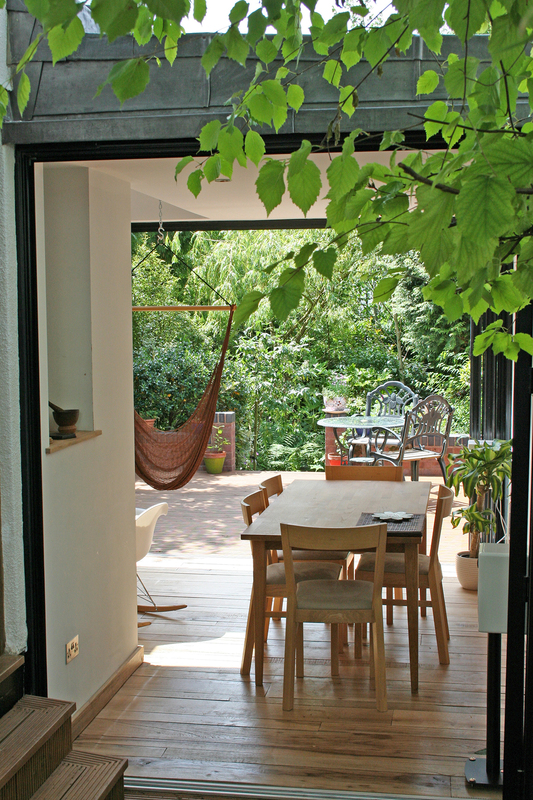 A more sheltered courtyard is created in the area between the new building and the existing house. 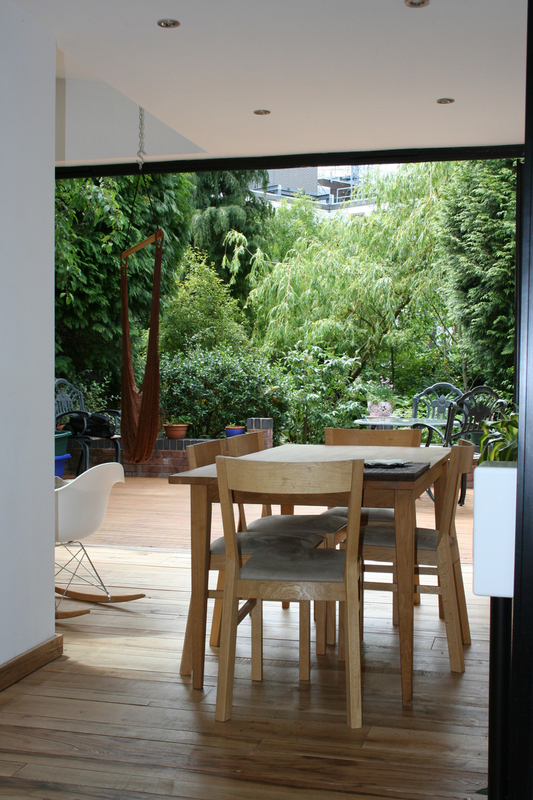 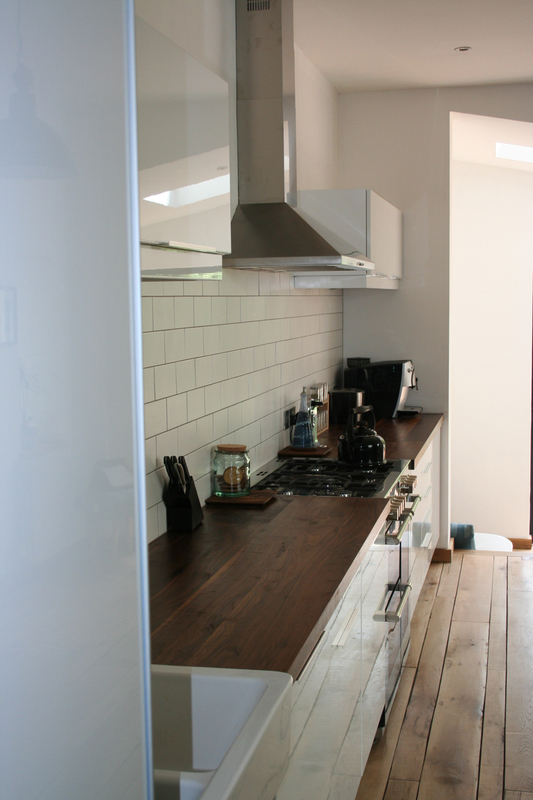 An open plan layout at the rear of the property helps to create a more modern family home.